This article is going to help you learn, how to become an amazon seller. If you are reading this article you are probably excited at the prospect of making some extra money online. Well, you can do exactly that with Amazon. First things first, you need to set up an Amazon seller account. You have two options, you can either sell items as an individual, or you can opt for a professional selling account. If you have a few bits and pieces you’d like to sell and make a little extra money, go for “Sell as an individual”. If you are looking to build a more serious online business, go for a “professional selling account” and I would recommend opting into the Amazon FBA program. FBA stands for “Fulfilled by Amazon”, if you opt in to the amazon FBA program, any items you with to sell will need to be prepped and shipped into an Amazon fulfilment centre. When one of your items sell, Amazon will pick, pack and post your item to your buyers chosen delivery address. In my opinion, this is the business model to follow. When you sell an item, Amazon does all of the hard work for you, you don’t even have to worry about customer returns. If the customer would like to return the item, they can contact Amazon and return their item, once received it will be checked and added back to your inventory. This business model allows you to focus on the other important areas of your business (or side hustle). Either way, it allows you to focus on finding the best products to sell. If you are serious about growing an online business and you have little spare time, Amazon FBA can help you on your quest to become an Amazon seller. If you are looking at Amazon FBA as a potential future full time business, i’d also recommend you investing in the right sort of paid software. My number one seller tool is Helium 10, i use it everyday within my amazon fba business. I cannot recommend it enough, i use it to launch, rank and optimize my listings. It’s also good for product research. Click Here: If you’d like to know how i use helium 10 – Step by step. OK, so you are serious about learning how to become an amazon seller, well, you are in the right place. The next important step is to learn about the best things to sell on amazon. Whether you are selling on amazon.com, amazon.co.uk or amazon.de, there is a method the pro’s use to determine best-selling products, don’t worry, we will go over this shortly. So as you will now know, the amazon FBA business model revolves around amazon fulfilling the products on your behalf. You source the products, send them into Amazon, they will take care of the rest. With this in mind, a lot of your costs as a seller are going to revolve around product weight, the heavier your items are, the higher the costs of fulfilment. Whether you are building your own products (private label), or your selling other peoples (Arbitrage) I believe that the best things to sell on amazon are small and light. On that subject, Amazon have even started a FBA small and light programme, allowing sellers to benefit from lower fulfilment fees. Earlier on in this section, I spoke about a method the professionals use to qualify best selling products, this for me is one of the best parts of the amazon platform, “The best seller rank”. What is best seller rank on Amazon? Let me explain how the best seller rank works, for speed I will refer to this as “BSR”. The BSR helps you estimate the number of units a particular listing might be selling a day. This is one of the key parts of product analysis, you need to know that the product is going to sell. Let me show you an example of a best seller rank. 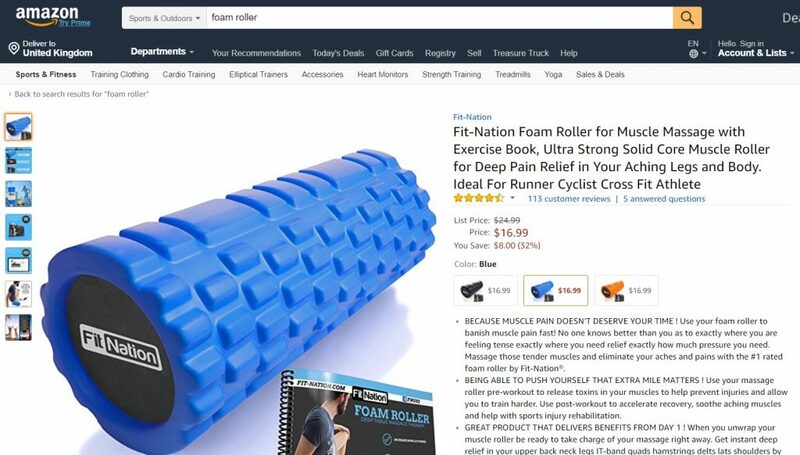 Lets look at this example, I’ve searched for “Foam Roller” on Amazon.com, this is a random product. I have no affiliation with this listing. So, I can see here that the price is $16.99, it looks to be a cool product. But, how can I read the BSR to work out how many sales this listing will generate a day? This is an important part of learning how to become an Amazon seller. If I scroll further down the page, I will find the product details. This is full of incredibly useful information. The most important heading here is “Amazon Best Sellers Rank”, you will see the best seller rank is: #672 in Sports & Outdoors. From my experience I know this is a good number. The lower this number, the more sales the specific listing is generating. 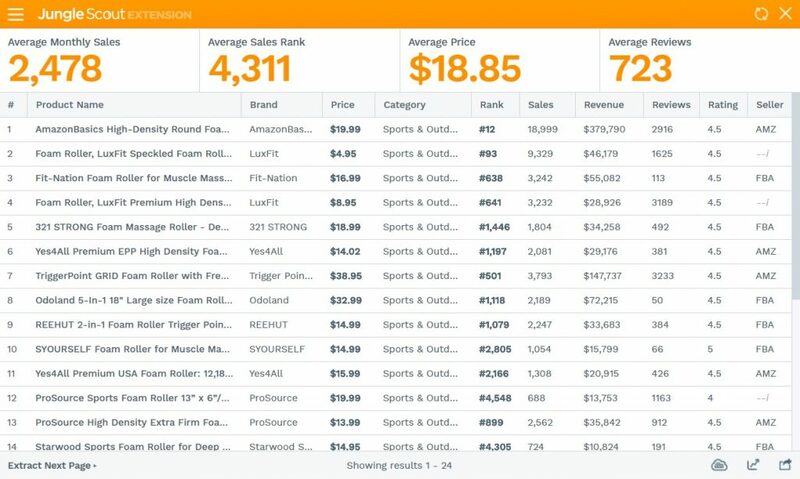 A product ranking at this level in “Sports & Outdoors” will be selling around 2800 – 3000 units a month (estimated sales: $16.99 x 2800 = $47,572 a month). Please remember this is an estimation, I cannot provide any guarantees. This isn’t based off my own experience of the amazon algorithm alone, i use a pretty useful tool to find this information out on demand, ill talk about this later in the article. This for me, is a very good product. The reviews are under 150, the demand is strong and the price looks good. This is a small part of the product selection process, you need to be sure of the cost of acquiring and selling your chosen item, without this you cannot calculate the most important part “The profit”. I will talk more about this later. Hopefully by now you are understanding a little bit more about Amazon as a marketplace. Another point I should mention is categories, the above example is based on “Sports & Outdoors”. As a category, sports & outdoors is pretty big, the bigger the category the more listings competing for the #1 in the BSR algorithm. I’ll explain why this is important, a product ranking #1000 in sports and outdoors, is going to be selling more that a product ranked #1000 in a smaller category, this is because there are less listings competing for the #1 rank. With this information, you should be able to go onto amazon’s website and begin researching hot selling products. This particular product would be classed as a private label product, this is because there is only one seller of this item, on the listing. I will explain more about this in another article. If you are serious about building an amazon business, there is another tool you should know about. You can analyse all of the above information with one click. 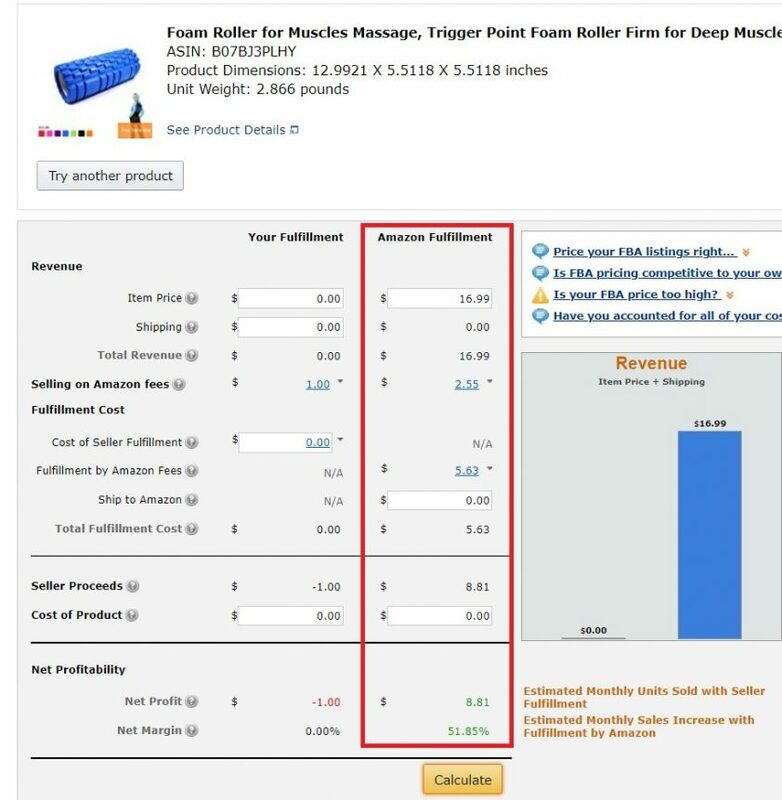 Let’s say you are interested in selling “Foam Roller’s”, you will want to look at the sales the top sellers are making along with the level of reviews you will be competing with, let me introduce you to Jungle Scout. This tool is fantastic if you are serious about learning how to become an amazon seller. It speeds up the product selection process and helps you size up the competition. The “Fit-nation” listing we have been looking at is in position three and their estimated monthly sales are at 3,232 ($55,082). I have written a full jungle scout review, its explains this sophisticated amazon seller tool in more detail. The above report has been generated within seconds using the Jungle Scout chrome extension I bought and downloaded this chrome extension over two years ago, i use it almost everyday in my amazon business. If you want to purchase it for yourself, you pay a one of fee of $97 for the lite version or $197 for the pro version. Position one is occupied by Amazon’s private label juggernaut (AmazonBasics), the monthly sales are astonishing and with tools like Jungle Scout, you can start to feel the power of the amazon platform. Foam Rollers were a random product selection, but I hope this mini case study has helped you understand part of the product selection process. This is a key part of learning how to become an amazon seller. I hope you are finding this article useful, the aim is to provide you with relevant information so you too can learn how to become an amazon seller. In this section, I’m going to provide you with some more useful tips to help you on your way. Let’s talk about calculating profit. Without profit, your business cannot succeed, it’s useful for you to understand how to calculate the potential profit of a product. Amazon have created a dedicated FBA fee calculator for your market place, this is how it works. Ok, so the above example assumes you are following the FBA business model, you will only need to pay attention to the information within the red box, this provides you with the related amazon fee’s for this particular product. Using the FBA fee calculator is an extremely important part of your product selection process. Without it, you cannot be sure of the amount of profit you are able to make and without this information you should not commit to building or selling a product. So lets look at this particular product. So your sale price is set at $16.99, your amazon referral fee is $2.55 (this is the amount you pay to sell the item on amazon.com). Next up we have the fulfilment by Amazon fee; $5.63, this is the amount you pay for amazon.com to pick, prep and send the item to your customer. So all in all your fees amount to $8.18, this leaves you with $8.81 of margin. Now from this $8.81 margin, you will have to minus the cost of said product and any associated taxes. his does not mean the product would not work you somebody else, we all have our personal preferences, I just prefer items to be smaller and lighter. With this information you are instantly further ahead with your product selection process, profit is the key factor, and to determine this you need to understand all of your associated costs. I hope you’ve found this section useful, it should definitely help with learning how to become an amazon seller. In my opinion, the simple answer to this question is, “Yes”. 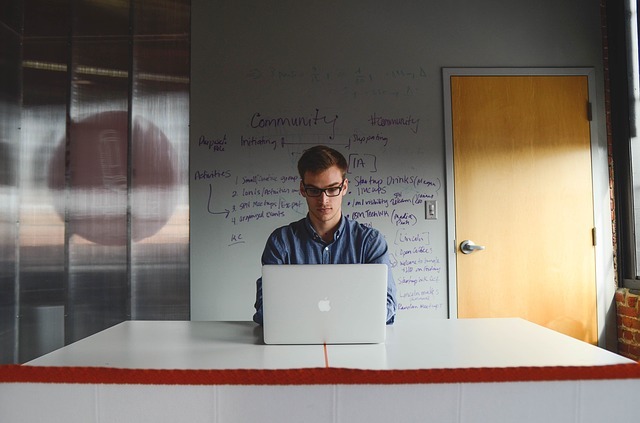 When you are trying to work out how to become an amazon seller, you will find many different options for your business model. It depends on what you are looking to achieve, are you looking to build a serious online business? Or are you simply looking to get rid of a few unwanted belongings? Selling on amazon can be the perfect solution for either of these options. As an Amazon seller, there are two main business models to think about. A lot of what I’ve talked about relates to “Private Label” this business model requires a little more investment, if you’ve read my story on the homepage, you will know that I started my private label business with around $2000 and within year two we hit over $600,000 in annual revenue. If you are looking at building an amazon business, you could look at the “Online Arbitrage” business model. The basis of this is how people have been doing business for centuries, you buy one or more products at one price, and you sell it on for a profit. In my opinion, this business model requires much less investment to get up and running. With this business model, you will be spending your time sourcing products that you can sell for a higher price on amazon. After all, most people shop on amazon for ease, so you can take advantage of this. Here is an example, if you can buy a product at say $5 from Walmart but on Amazon you can see it sells for $15, after fee’s you are going to be in for some profit and this is the game. Online arbitrage is a powerful business model, in my opinion to scale and grow your online arbitrage business you will need the right sort of tools and software, I will write a separate “How to” article on the online arbitrage business model, as I think I have waffled on enough! A lot of what I have talked about, relates to building a serious online amazon business, after all that’s what I have done. If you are looking for passive income ideas, building an amazon business has got to be one of the best options. Sure, you have to be willing to put in the work but if you do it the right way it can change your life for the better. 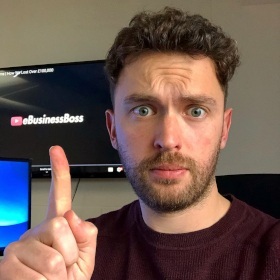 When I started my online journey, I was interested in learning about the best business to start with little money, and this was because at the time, I had very little money but I was desperate to start my own online business. I was fed up with working for somebody else, I didn’t imagine things going as well as they have either, my best advice is to do your research and go for it! Are you following the journey? Amazon Fees For Sellers – What’s The Real Cost? How Much Is Helium 10?